David never wanted to be a knowledge broker. 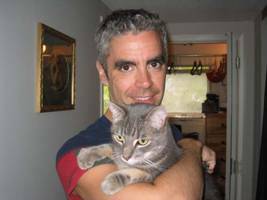 David wanted to be a veterinarian but along the way discovered research (PhD Immunology, Queen’s University, 1991) and subsequently moved into technology transfer at U of T when he identified a novel marker of HIV infection. Moving from doing research to managing research started a career that continually spanned the boundaries between researchers and research users (companies, government agencies, community organizations). By connecting researchers with researcher users to help move research into practice or policy, David became a knowledge broker. In his current role as Director of York’s Office of Research Services David leads tradition research services (research grants and contracts) as well as technology commercialization and knowledge mobilization as a service to York faculty and graduate students. He is the PI on three knowledge mobilization institutional grants (two tri-council IM grants and one SSHRC KIS grant) and one knowledge mobilization research grant. 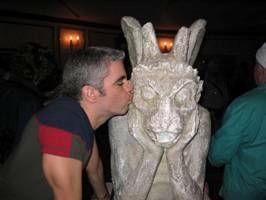 While wanting to be a veterinarian and subsequently geeking out in a lab David also nurtured a bohemian side as a flute player while also dancing ballet for 20 years (he took a summer off his PhD to dance at Canada’s Wonderland!). He currently sings in Counterpoint Chorale, a Toronto-based chamber choir but apparently fails to impress either gargoyles or cats….